Alim Result 2018 Rescrutiny have only one method. 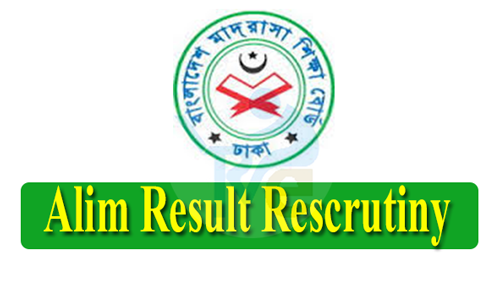 Alim Result 2018 Rescrutiny apply by SMS. You must be apply by Teletalk SIM. For per subject you must pay 125Tk, which is non-refundable. For Bangla and English Subject you must be pay 250Tk, which is non-refundable. Please follow the method below. Fill up each messages with carefully. Give your Contact number which is 24 hours available. Show and read your inbox regularly. Otherwise you must be fail Alim Result Resrrutiny 2018.